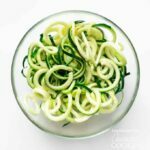 Zucchini noodles are a great low carb alternative to traditional pasta, and they’re so easy to make! Here’s how to transform an ordinary zucchini squash into spiralized veggie deliciousness. 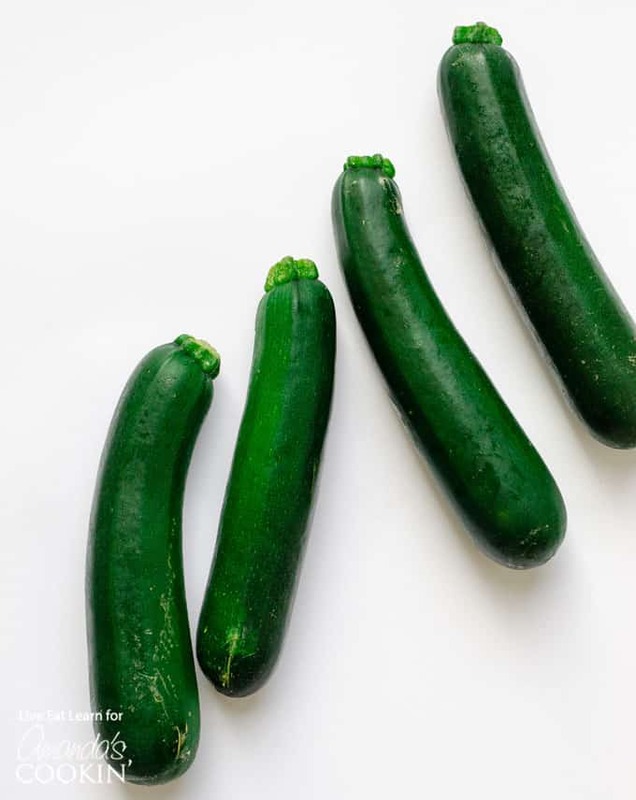 Zucchini can be a versatile veggie in the kitchen, for example, our Zucchini Boats. Packed with lean ground turkey, fresh peppers, onions, and grated cheese make a satisfying dinner. For a side dish, you can make these Crispy Zucchini Fries. 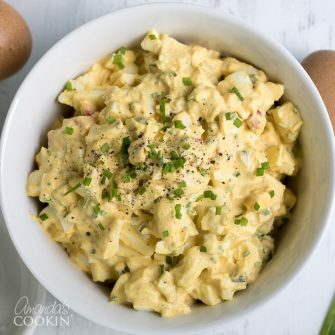 A low-carb alternative to regular fries that certainly are not lacking in the flavor department! To make zucchini noodles, you’ll need to get yourself some zucchini (about one zucchini per person if eating as a main course). Cut off each end, then cut each zucchini in half to fit in your spiralizer. 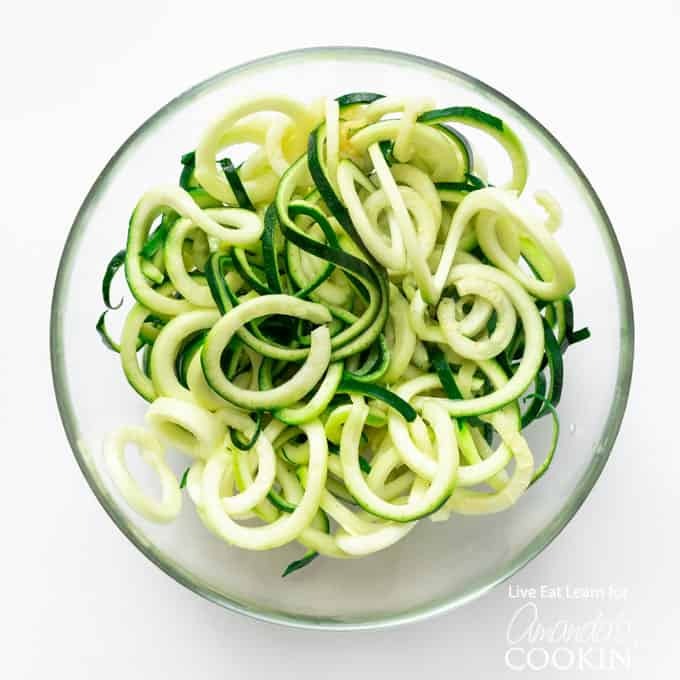 Place the zucchini half in your spiralizer so that it’s perfectly centered, then spiralize! 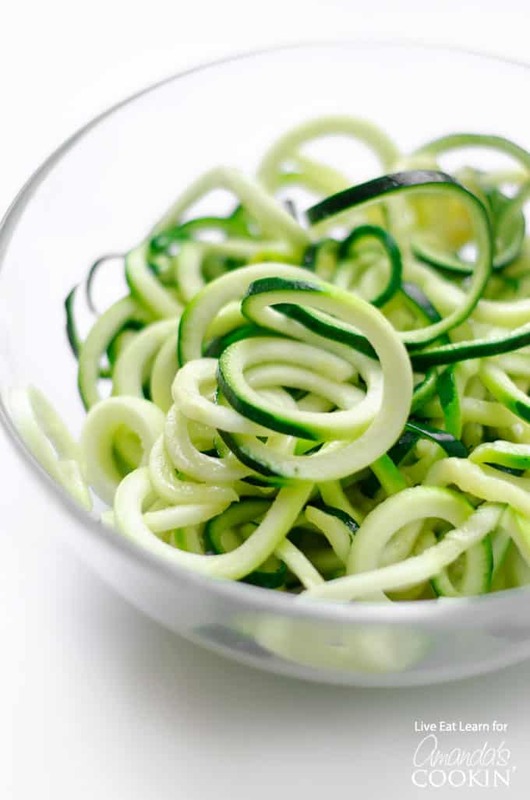 Apply constant pressure while spiralizing the zucchini to create uniform, long noodles. Zucchini noodles hold a lot of water, so it can be useful at this point to sprinkle the noodles with salt and let it sit in a colander for 15 minutes to let the water drain out. Then we cook! I prefer to saute my zucchini noodles rather than boil them, as boiling will just turn them into a soggy heap of sadness. Saute with a splash of oil briefly, just a few minutes, until noodles are bright green and slightly tender. And that’s it! We love finding low-carb ways to make delicious food without skimping on the flavors. Take our Cauliflower Pizza Crust for example. Low-carb has never tasted so good! Cut the ends off each zucchini then cut in half to fit in your spiralizer. 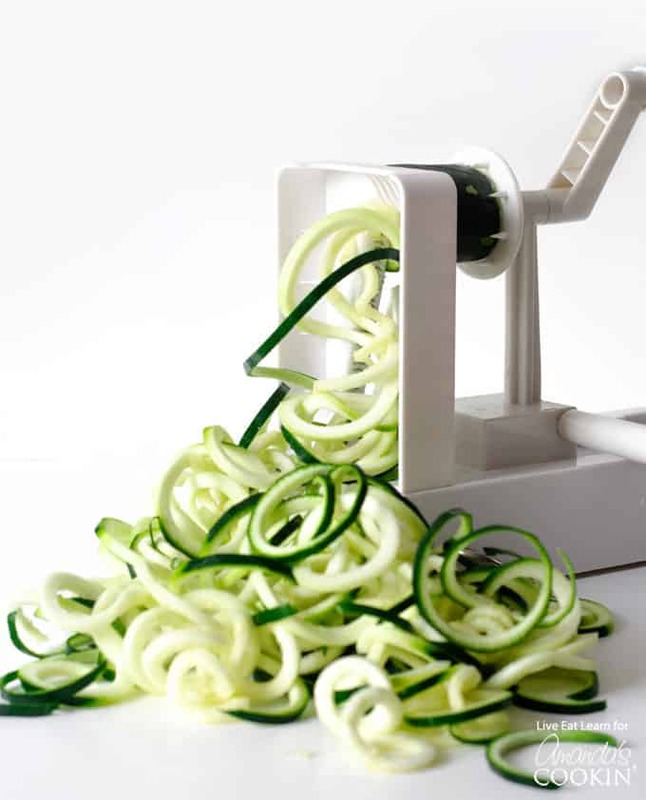 Apply constant pressure while spiralizing to create long zucchini noodles. 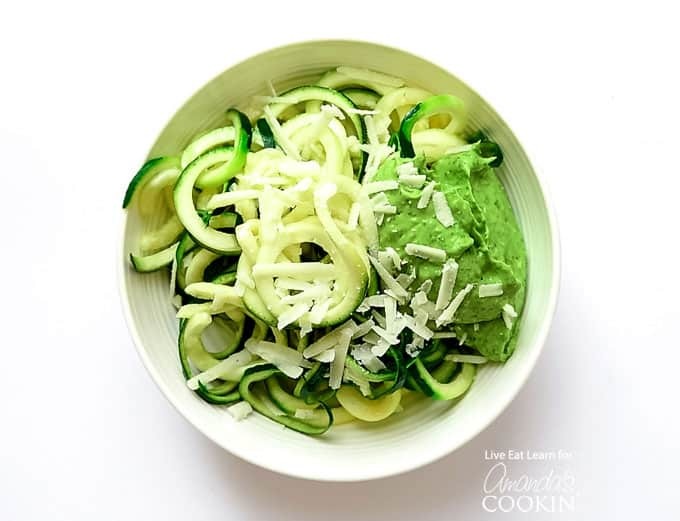 Place zucchini noodles in a colander and sprinkle with a pinch of salt. Let sit 15 minutes to remove excess water. Heat oil in a large saute pan over medium/high heat. Add zucchini noodles and cook until bright green and slightly tender, about 3 to 5 minutes. Serve with your favorite pasta sauce or toppings.